Since late March I've been using the HTC Dream running Android and figured I'd share my experiences with the phone and platform in general. I won't talk about the development bit in this post, will have to get back to you on that one. Been playing around with a Yammer application for the platform, I'll write something about that later on. Since there are no phones running Android available for purchase here in Sweden the choice fell on the Android dev phone aka. ADP1. 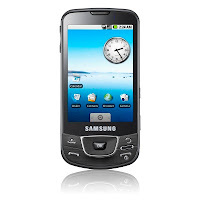 Which is basically the T-Mobile G1 with root access and back cover with some nice graphics. I think most people will agree with me when I say that the phone is no wonder of design. When it first was unveiled I found it kinda ugly but it grows on you, and after seeing it “live” I kinda liked the design. It's robust and has a nice feel of quality to it, especially the slide-out keyboard feels really well made. What caught my eye wasn't the phone itself, even though I like it a lot, it was the platform it was running. I mean come on, what tech geek developer wouldn't at least be a little bit interested. An open source platform for mobile devices spawned by the behemoth calling itself Google ;). I've been using Android for about a month now and I love it. It's responsive, intuitive and stable. For daily use I mostly use the application that comes with the platform. I listen to music, send a few texts, browse the web, read mail and of course make calls. The integrated gmail client is great, it supports push for mail, calender and contacts from your Google account. The easiest way to find third party applications is through Android Market, the Market application itself is pretty basic. You have the option to search by user input or browse categories, it works but could use some improvement. Add an advanced search perhaps? To browse the market on your computer you can visit www.cyrket.com. The Android Market is small compared to the obvious comparison – Apple Store but it's growing quite fast and houses some killer apps. Some apps worth checking out. TouchDown - Exhcange sync for Android. Supports push mail, calender and contact sync. This is a paid app, I've only tested the trial but will probably buy it for $24.99. SMS Popup - Simple app that complements the platforms native notification for SMS, it simply brings up a popup window with the message. ASTRO File Manager - App for browsing, copying and moving files on your SD-card and Phone storage. Until recently there were a few things missing that just had to be implemented, support for stereo bluetooth (AD2P) to name one. The phone is capable of handling it, it just wasn't implemented yet. With the recent 1.5 release aka. Cupcake - AD2P is now implemented in the official release. An obvious thing that's missing for the platform is native support for exchange. Google has said that users will have turn to third party applications for Exchange sync, fair enough. But I still think it's something they could have included in the platform. I know there are custom builds out there with native Exchange sync, but afaik. it's still very much an experiment and I don't know if it even works. Another thing that the phone, and platform is capable of is multi-touch, now that's awesome! Well if it wasn't for the fact that it's disabled, probably to avoid trouble with Apple *sigh*. But don't fear, there are custom builds of the platform that solves this aswell. The fact that the platform is open source and based on java is probably a big help when it comes to getting a big community base around the platform. The Google groups are a good source for information, other places are phandroid and xda-developers. For developers it's easy publishing applications on the market. You'll need to register a developer account and pay $25 - after that you'r free to publish your application on the market. At the moment paid applications aren't available in Sweden but Google is constantly adding more countries so it's just a matter of time. Personally I haven't gotten around to installing a custom build yet. With the official Cupcake release things like video recording, auto-rotate and AD2P is now in the platform. One thing that still isn't in the official builds is multi-touch, this feature alone will probably make me try out a custom build. When searching for a custom build to install there are two developers that stand out. These are Haykuro and JesusFreake, these guys are releasing new builds constantly and It's hard to keep up cause it's moving really fast. I think this is good, but it becomes quite the hassle to keep up and when just starting to getting into custom builds. The xda-developers forum is a great source for finding different "hacks" etc. 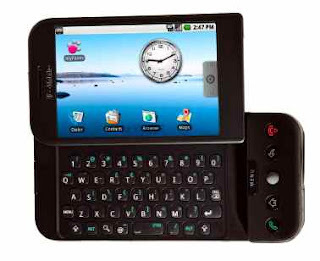 One example is a mod that replaces the keyboard mapping on your HTC Dream. Typing in english is of course easy, but since I need the use of åäö in Swedish I have to frequently use long press on a and o to access those characters. Here is a solution that remaps the keyboard layout to use the alt-key instead for these characters. Awesome blog post! Well done, Jonas!